For many businesses, e-signature software has revolutionized day-to-day processes. While we all spent hours as children practicing our signatures (No? Just me? ), today you can simply type or write your signature once, take a picture and upload that image to serve as your signature. Even though you may have wasted hours making sure your signature was beautiful (Still just me? ), you can more than make up that time by using an electronic signature tool. Obtaining a handwritten signature doesn’t cost anything, so why should electronic signature software? Rather than print a legal document, mail it to your signer and wait for them to sign it and send it back (all while worrying whether the mail has lost your document), you can send a single email and wait for the reply with your fully signed document. Digital documents are easy to keep track of (and have the added benefit of saving a few trees). Features to look out for are the ability to send documents from multiple accounts (unless you’re a one-person team, in which case you’re good to go), the ability to collect signatures from multiple signers and notifications when documents have been signed. Depending on your business needs, you may not need any of these features, but they’re a good jumping-off point. The list we’ve outlined here includes any e-signature solution with an available free offering. It should be noted that this does not include products that are only free on a temporary basis, such as limited trial versions for new users. They may only support one user or one project, but they’re truly free offerings. Scaling, however, will often require full investments. These products alone have well over 350 validated user reviews on G2 Crowd as of August 8, 2018, and only represent a small portion of the 80-plus e-signature software offerings listed on our platform. Whenever possible, the products are ranked by user satisfaction score. Why you should consider it: HelloSign was named a Leader in the e-signature category on G2 Crowd for Summer 2017. 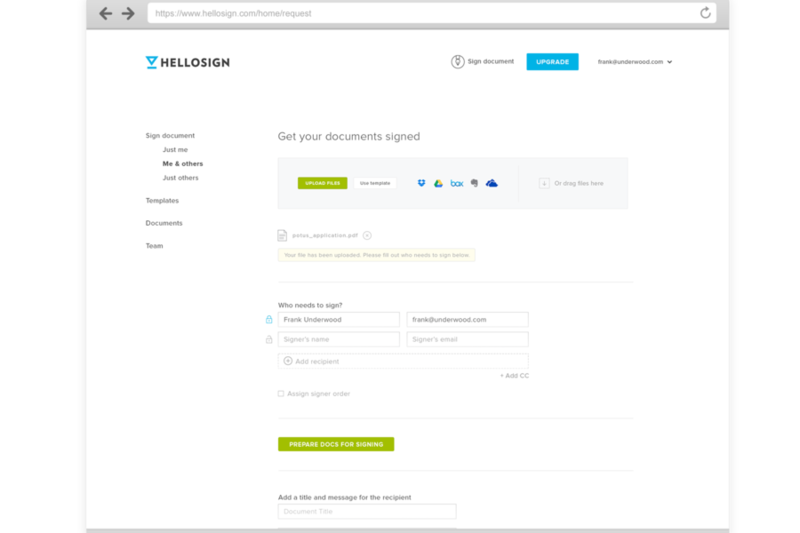 HelloSign is an e-signature tool that allows users to send and sign documents while tracking the status of all documents. 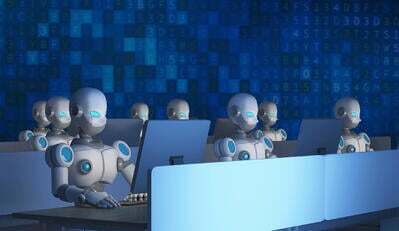 It offers businesses tools such as automatic email reminders, flexible signing workflow and team management capabilities. HelloSign users will get three documents a month, status notifications and an audit trail. — HelloSign review by Kevin S.
— HelloSign review by Jamie R.
— HelloSign review by Steve Q. Why you should consider it: Eversign’s mission was to create a highly secure and well-monitored cloud that businesses could trust with their highly sensitive data. 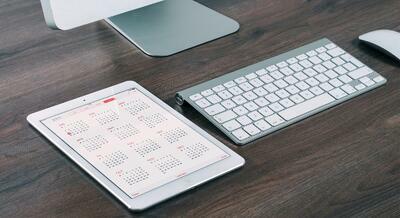 This product brings flexible workflows and increased time efficiency for its users. Integrations: Eversign integrates with Google Docs, Zoho, Dropbox and Salesforce. Users will receive five documents per month, three API documents and one team member. — eversign review by Will B. 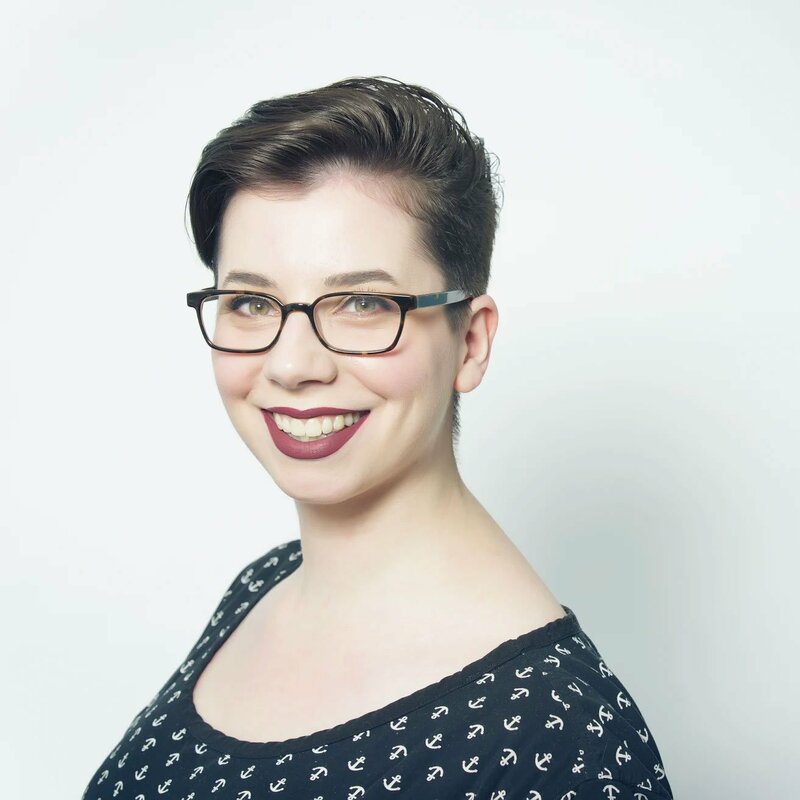 — eversign review by Taylor L.
— eversign review by Anne C.
Why you should consider it: DigiSigner is an e-signature platform for users to invite signers to digitally sign documents. 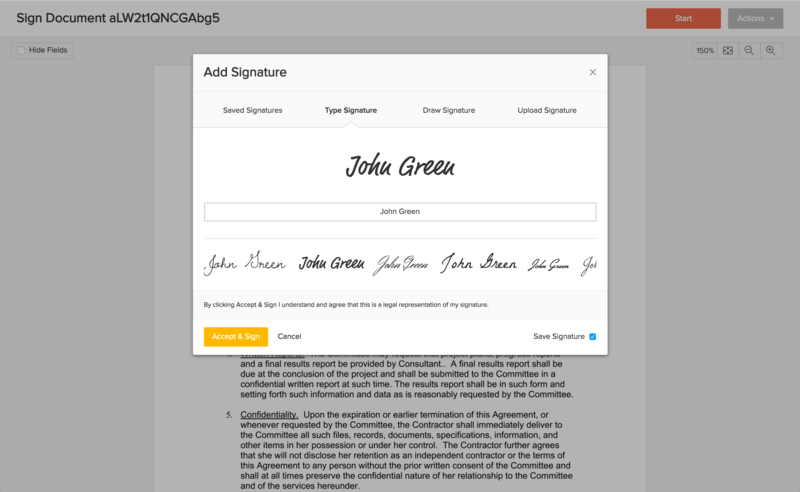 Users can draw signatures using a mouse, upload a signature image or type their name to create a legally binding signature. Users can use DigiSigner completely free through their no-cost plan. 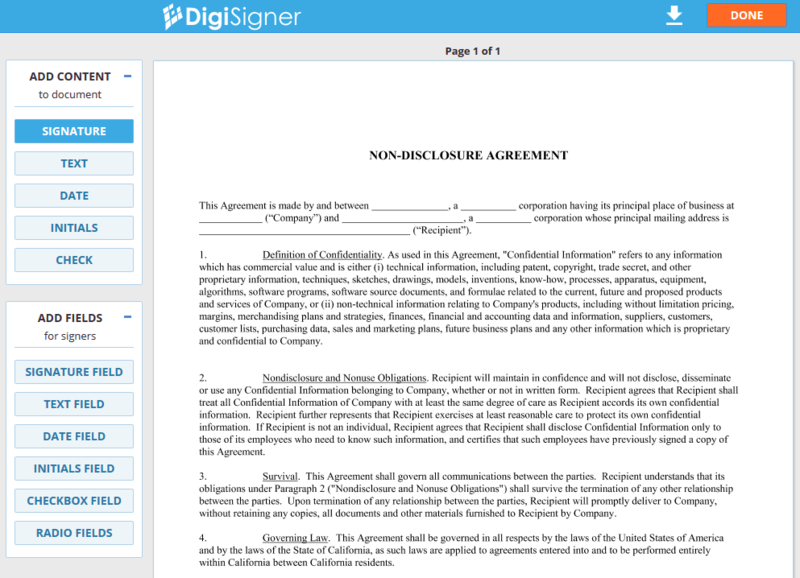 — DigiSigner review by Kate W.
— DigiSigner review by Sean C.
Why you should consider it: Secured Signing is a cloud-based digital signatures service, often used by small businesses for secure e-signatures. One Secured Signing review discusses the multiple business problems this solution has solved for them. 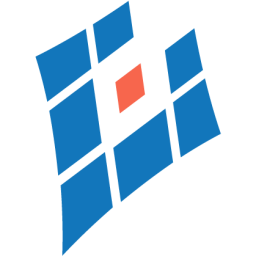 Integrations: Secured Signing integrates with Salesforce, RDB ProNet and finPOWER Connect. Three documents per month; one user per account. Unlimited signatures, personal digital certificates and more. Why you should consider it: SkySignature is preset with many features and free PDF editor type tools, such as a "type anywhere" capability. This product also uses its own advanced algorithm to ensure document security. Unlimited signing, storage cap of 20 documents, document management, PDF edit, signature verification and more. 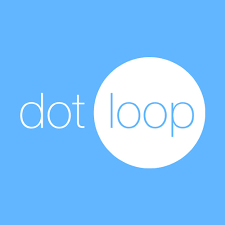 Why you should consider it: dotloop is not technically an e-signature tool, but a real estate transactions management tool that offers electronic signatures. It was ranked a Leader in its category in G2 Crowd's Winter 2017 Grid® for Real Estate Transaction Management. Ten transactions, secured backup, document templates, online support and more. 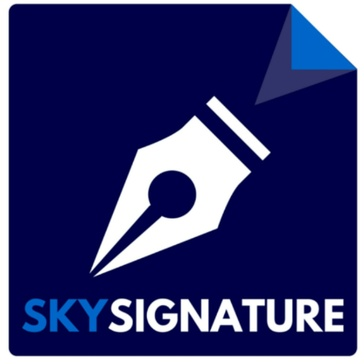 Why you should consider it: SignX is an e-signature software that allows users to send a document to multiple signers and have them sign independently, manage multiple users and reuse templates to save time. Users can also encrypt their documents and enable password protection. 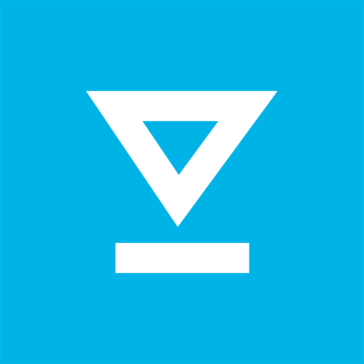 SignX's free plan in a great option for small businesses and startups. Be the first to write a SignX review! 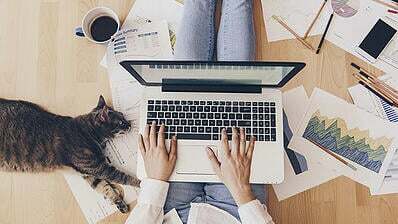 Why you should consider it: eSignatures.com provides users with an all-in-one e-signature platform enables in-person digital signatures, document tracking and integrations with platforms such as Salesforce and Slack. 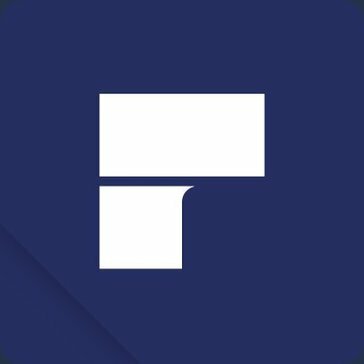 eSignature.com has a completely free plan for companies and professionals on a budget. 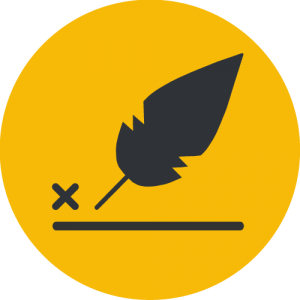 Be the first to write an eSignatures.com review! E-signature software can save you time and money by digitizing a very manual process. And if you spent all that time perfecting your John Hancock (Seriously? I was the only one? ), there are even ways to preserve it digitally to be used over and over again without giving you carpal tunnel. Using free e-signature software saves you even more money. And if you’re looking to expand your software repertoire, check out our free CRM software post and our free project management post to get your company ship shape on a budget.